What do you want in a keychain light? 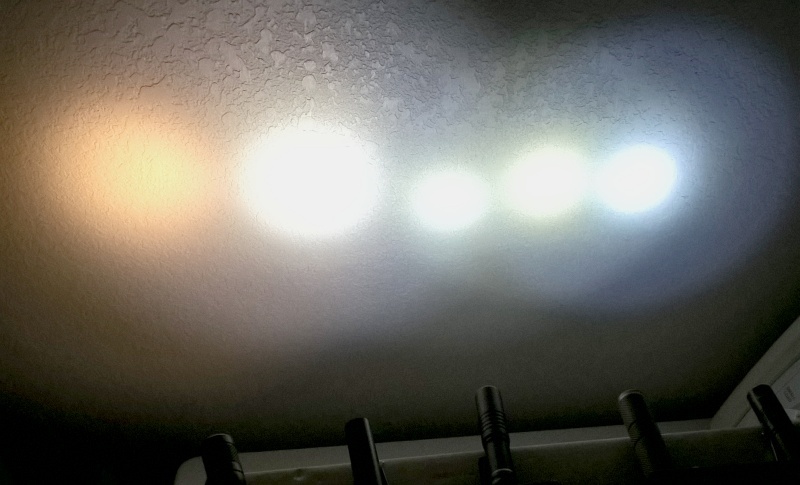 Modes, High CRI LED, a beautiful Neutral White tint… Astrolux has listened and produced the A01. 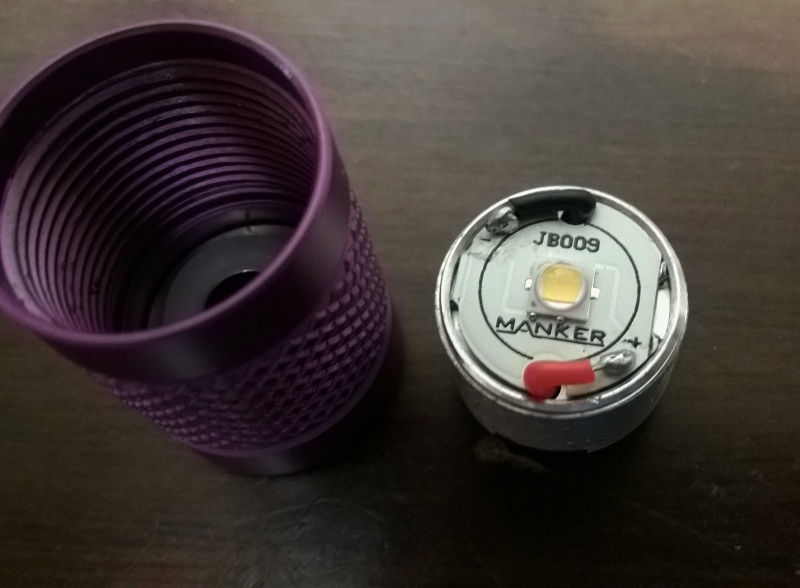 This light is a winner, Astrolux is the Banggood Brand built by Manker for Banggood. The lights were provided by Banggood for me to review. Neal at Banggood there knows how much I liked the Manker Boney, a good light in the 5mm LED category. He sent me these without telling me about their development, but I doubt I could have wanted more in a AAA light. I like small multifunctional things like Swiss army knives and the pocket leatherman multi-tools… Lights do not have many functions, they provide light, a pretty big function by itself. I like small lights, as I tend to keep them with me, therefore they are more useful than the one left in the car or at home. In providing light, there are two parameters they can have, output (brightness) and run-time (how long they provide brightness), sounds simple so far, right? The smaller the light, the less in proportion the battery can provide in output. 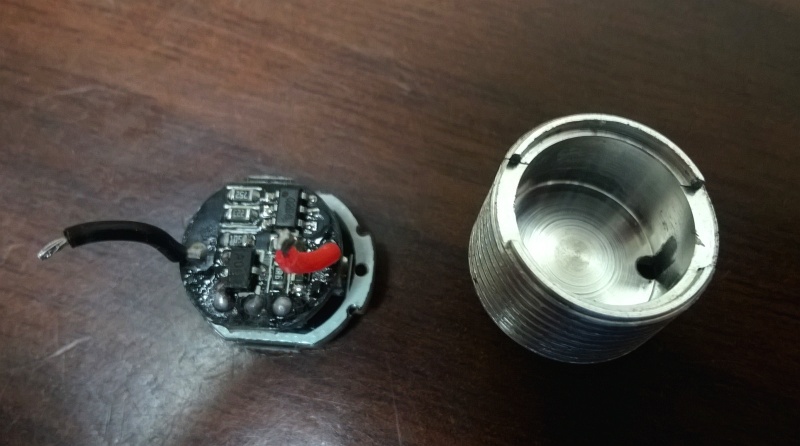 We see this in the BLF A6, the 18650 may have an hour of run-time on high, but you put an 18350 tube on and not only is there less output due to the 18350 battery not being able to put out amps like a full sized 18650, the run-time is cut to a third on the same level. This gets worse as we get down to battery sizes like AAA…. 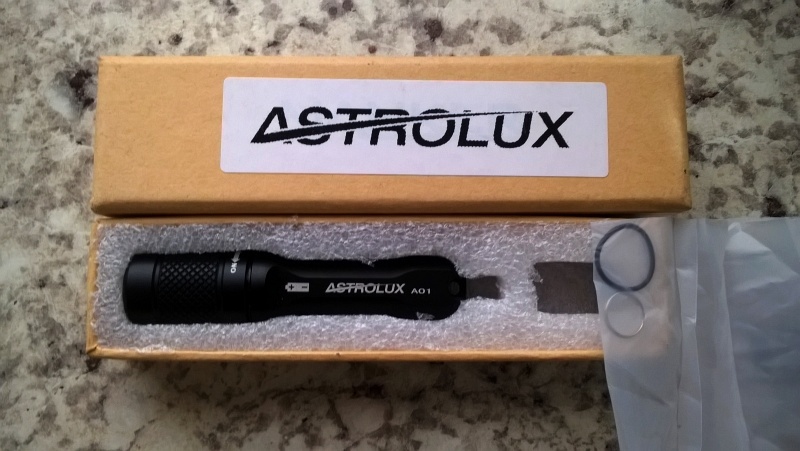 So the AstroLux A01 comes out, and pretty much covers everything I feel I need in a AAA light. I really liked the Manker Boney, for the money. It was the cheapest AAA 5mm LED that had a good run-time I had found. I further modded some of mine to kill the output, but put the run-time up to a week of constant low light. 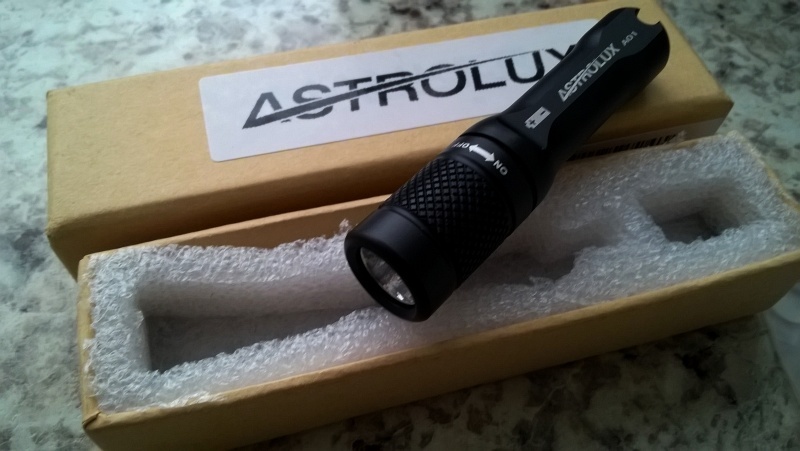 The Astrolux A01, an upgraded Manker Boney, has three modes and a hidden strobe. The mode order is Moonlight/Firefly of less than a lumen, then a Medium of 7 lumen and a high of a stated 100+ lumen. Cycle twice through the L-M-H and you get to the strobe. The strobe is about 12hz and more tactical/motion stop than the low frequency wopwop strobes commonly found on cheap lights. I am not a fan of strobes in general, but they have their uses, and this one is well hidden. The modes reset to Moonlight after about 5 seconds of off time. This being a twisty style light, where the head is screwed down to turn on, there are times you can flicker through the modes quickly. This seems to be on all twisty lights I have had, if you do not like it, wrap some plumbers tape around the threads to tighten them up. 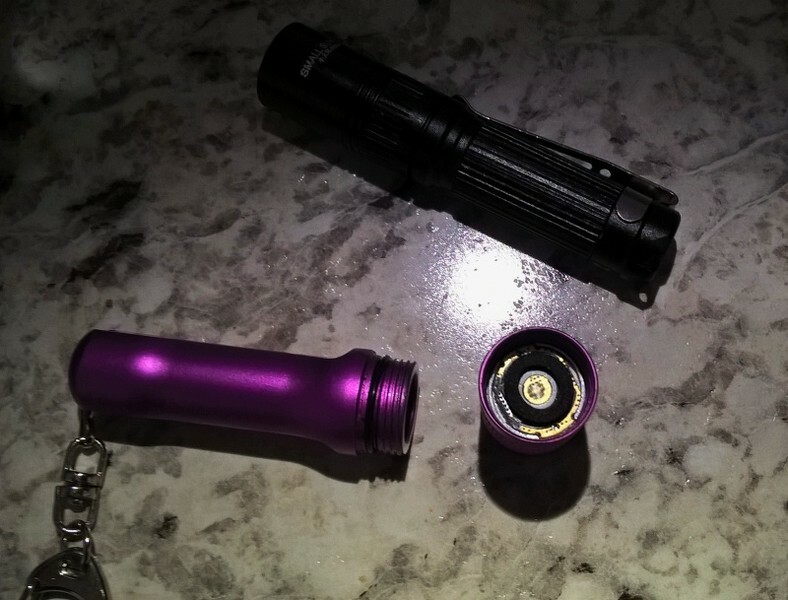 The machining on this light is very well done, on par with the Manker Boney. All cuts are done well and there are no visible machining marks on the outside. On the purple sample I was sent, it seems the battery tube was cut a bit smaller and some batteries would get “vacuum locked” when pressed all the way in. The suction was from the tight fit against the walls, but they went in… I think a bit of sandpaper wrapped around a pencil would cure this in a couple of minutes, but it has not affected anything but the battery changes. Though the emitter is one of the best I have seen. It is a 4000K Nichia 219B on about a 13mm board. This thing is practically glare free at the levels this light drives the Nichia. I have taken to warmer emitters lately, due to using most of my lights up close and appreciating the lower glare or flashback from the warmer tints. 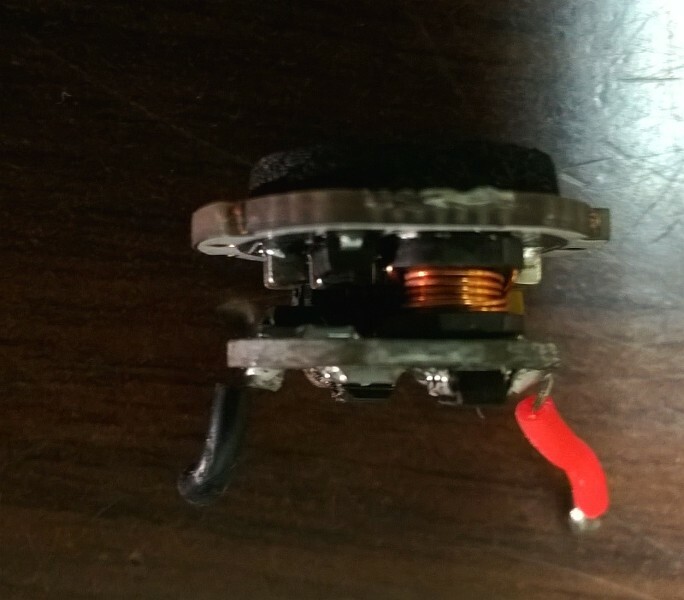 If you do not like this emitter, you can easily change it out by filing a 16mm board down, an PM me, I’ll take your old Nichias off of you… LOL. With the removable pill, this light now has options for those that may not like the stock set up. I am pretty sure with the High CRI of the Nichia, even those that may not appreciate the tint on paper, will like it in real life. The level spacing on paper has been debated already. In person, it is pretty well spaced, though we know that there is never a perfect amount of levels or the spacing between to make everyone happy, this does pretty well for me. Low is a moonlight or firefly depending on your definition. It is enough to get around in the dark with adjusted eyes, you will not miss the toilet or step on the dog with this mode. Unless you would in daylight of course… It also long enough run time that you can leave it on as locator/night light. The one I have had running for almost four days now on low, shows no sign of slowing down. The factory states 100 hours, I am thinking about 130 before the light is no longer usable, this is based on my other run-time tests for the other modes. Medium is medium due to being the middle mode. It is more of a low, but a very usable low. I have no way to measure lumen yet, and am horrible at guessing them, the factory says 7 lumen…. I know I can easily walk a dark path with this level, or look under a car in a dark driveway. I believe on the side of a dark road, I could change a tire with this level, its a good amount of light. It is your main working level on this light and has a factory run-time of 7.2 hours. 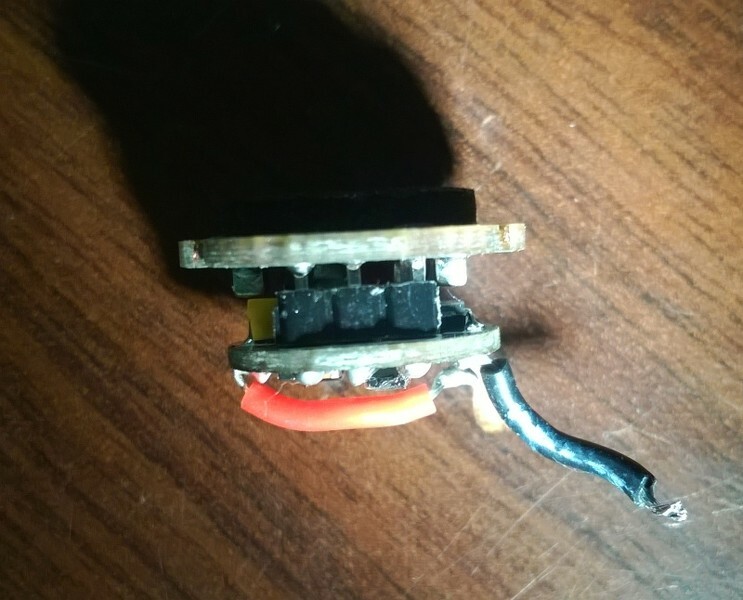 At 9 hours on a Dollar Tree Sunbeam alkaline AAA, it was a slight bit dimmer than on a fresh battery. High mode is rated at 102 lumen. It is bright enough for all but search and rescue in a keychain light like this. Looking under a seat or couch or something, this tint at this level is not a glaring event. Sometimes high modes can be too high, you get more light back at you… The beam on this light is floody, with enough throw to look around your backyard, but enough flood for up close work. I think Astrolux got this high mode just about right, as well as the balance of flood and throw. It will run for ~30 minutes with maybe a 30% loss of light, then keep running for about an hour until it is as dim as the medium mode. Not bad, especially compared to something like a Kaidomain Buckle V6 that the output falls off a cliff when the level starts to dim. Realistically this kind of light is the one you will have on you, or stashed in your gear. This light is a very capable performer on both NiMh or AAA. 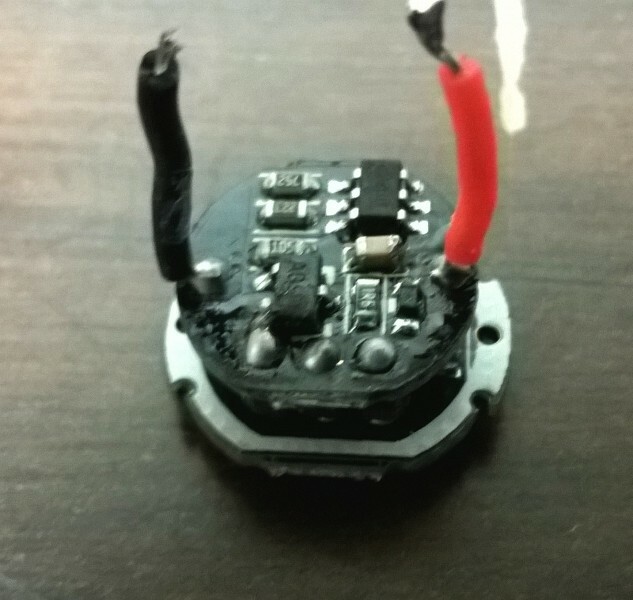 I have not received any official word that it will work on 3.2 or 3.7V Lithium batteries, but it did do a minute or so on high with one of my Soshine LiFePo4 3.2V batteries, my Efest 10440 is a flat top and did not work. 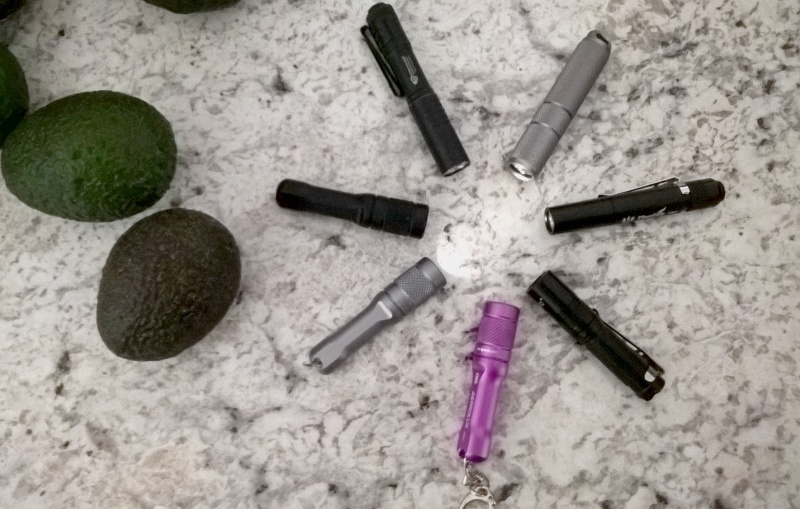 It was brighter, but not enough for me to run one full time… If you stash it in your gear, Get the Lithium Primary batteries (1.8V type L92) so they do not leak, or for pocket carry Alkaline or NiMh will do you fine. I use the Dollar Tree Sunbeam Alkalines, at 4 for $1, they are pretty good bang for the buck. I am pretty sure Astrolux has a hit here with this light. It has killed my desire to mod my remaining Manker Boneys for long run time, as this A01 has that on Moonlight. It has much more versatility than the original Boney with the additional levels… If you are worried about breaking the glass lens in a tough duty setting, just remove the lens and put a layer of clear packing tape on each side, instant safety glass… It survived a shower and a dunking in a pitcher, so it lives up to the weather rating on the package. I know Neal wants us to get a group buy going on this. I have not had much time to talk with him this last week, so I will start a list to see what interest there is for a better price on this, but no guarantees on how much better…. The colors are Black, Silver and Purple, so what other colors would you like to see? My vote is for a bright orange, but who knows if they will even do other colors. Throw your vote in the hat and we will see. The PROS: See above, the light is solid and well built with good modes and great run-time. It will not leave you in the dark! The CONS: If I had to nitpick this thing, a better lanyard attachment point that allowed tailstanding would be it…. 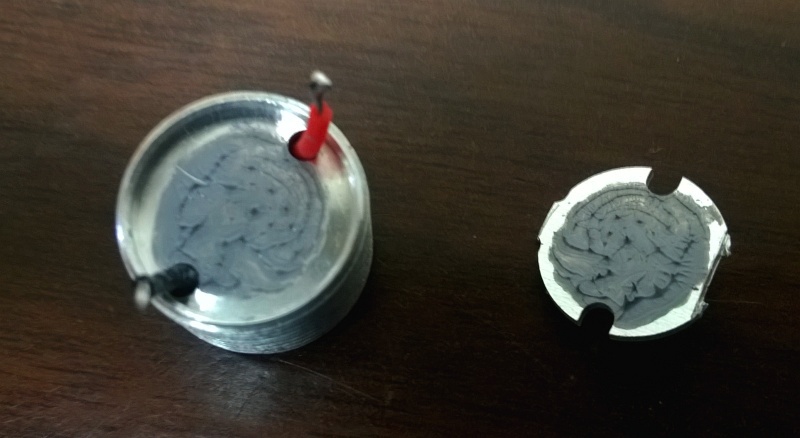 The current one works and is sturdy for attaching the light, but is a bit small for some methods and does not allow steady tailstanding… That is all I could think of to improve. AS ALWAYS, the tints you are seeing are not what they look like in real life, the camera captures the Nichia much rosier than my eye, and the Blues are not so blue in real life either. Thanks for reading, I will get more pics up tomorrow! 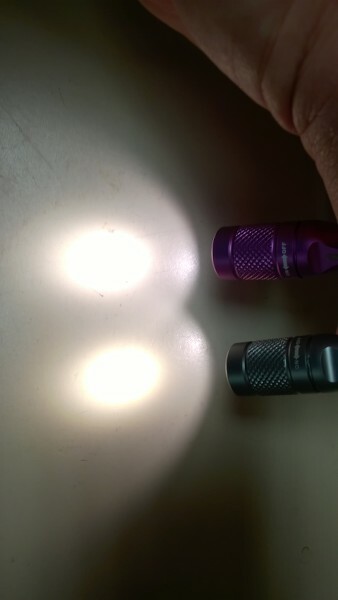 Do you have any other 1xAAA flashlights to compare its shape and size to, such as the Olight i3s, Thrunite Ti3, or a Maglite Solitaire? What about brightness comparisons? Not twisties like this one, but to compare side by side is a pain, which is the standard to compare by? Does it beat light x, yes, but light x only has one mode, light Y has three modes like this one, but costs twice as much…. +1. Comparison beam shots, please. Yay! to no visible PWM!! I’m another one who likes beamshot comparisons against well-known lights. I can get an idea from words, I can see something from solo pics and vids, but when I can compare it directly to a known factor (especially if I own that light) then I know exactly what I’m seeing. For me, flashlights are more about the light itself- the other stuff like modes and UI is less important though it does matter too. I myself have three different AAA lights, but I don’t have this New One that is being discussed, so I will shut up. Without me seeing it, I think that the ‘lows’ are too low. – I would prefer, 1-20-100. Thanks for all your efforts, Everyone! As happy as people were with the original, and the way the BLF-348 works so well....This definitely looks very worthwhile. I’m interested in the Nichia in this light. Would appreciate a beamshot against an older Nichia 219A if you can. As happy as people were with the original, and the way the BLF-348 works so well….This definitely looks very worthwhile. Agreed. I’d probably have a Manker Boney by now were it not for me spending on the GB’s, and with the Nichia this one looks nice. Besides, “Astrolux” sounds better for a light name! If I had to suggest a color for the AstroLux A01, I would want the shade of blue in the Olight i3s blue and the MecArmy illumineX-4. Great review, a very nice light indeed. Can you measure what size the driver is? Diameter of both boards and height would be great. Excellent review and a wonderful sounding light and modes, now let’s get them to let us have our bright, emergency rescue ORANGE colored ones. This would make a great bright orange kit light, and a brightest high of more like 50 or 70 lumens instead of the ( I think overly extravagant)100, would be even better. The hidden flashing mode is a cool thing to put in. Now that I have finally found purposes for the strobe, I like having it available, as long as it is hidden, hidden, hidden. This could be my gift flashlight for 2016 if buy-by-the-handful becomes affordable by next fall. Looks great. I’d love blue. A lower max would be nice too. I’ve been resisting recent group buys, so I’m well primed for this one. I’m in for a few at least. Next time I have it out, I will. The driver is the “winged” type that needs the projections to make contact with the battery tube, so some filing or soldering of tabs will be in order for a driver swap. It seems to be about 13mm wide by about 8mm high, but I will get you hard numbers in a bit. The only 219A’s I have are very warm white ~2700K so not a even comparison. The tint in the pictures on the OP is much warmer in the picture than in real time. This max could be lower, but as it is with the tint, it seems pretty well balanced on runtime vs visual output. 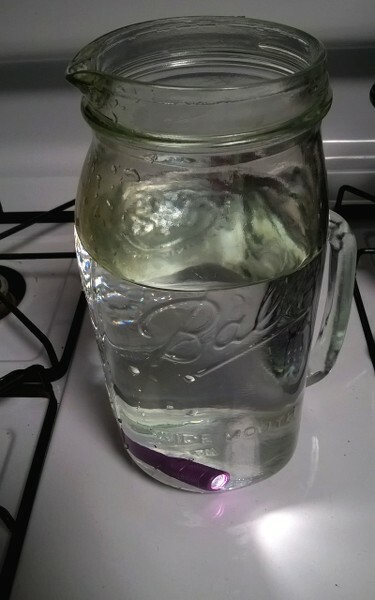 Thing is, it doesn’t nosedive after the rated time, you still have about half an hour of more light than medium before it gets down to medium level in drain while on high. I'm glad I didn't buy another dozen BLF-348s yet (it's a long time til next Christmas, but plan ahead ...) This could be my gift flashlight for 2016 if buy-by-the-handful becomes affordable by next fall. True but I do not see this being any different. No reason in the world why this light cannot do 1000+ in a group buy. 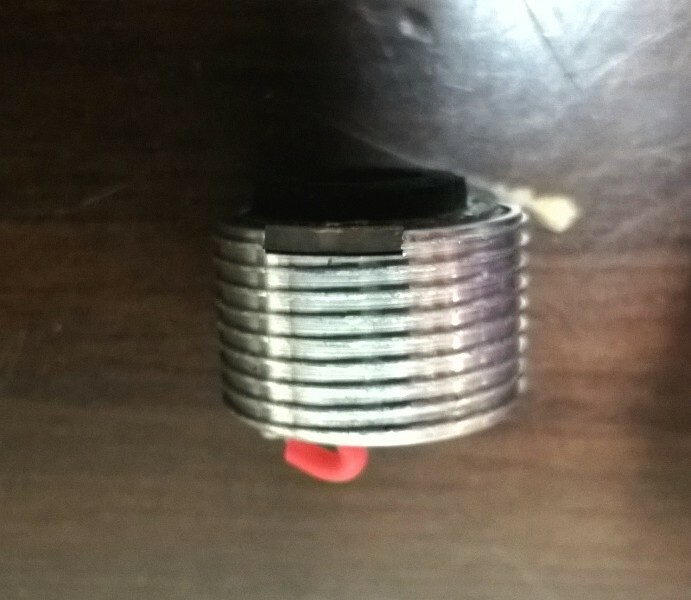 Thanks for the review, under 10 bucks AAA light and with nichia looks like a good deal. These look awesome, thanks for the review. Personally I like a clicky with a clip better than a twisty with ring, but this still looks nice. Actually I asked about the driver size because I was considering swapping this driver into one of my 348’s, but I think it’s too big. I agree though, this could be a top seller if the price was right.